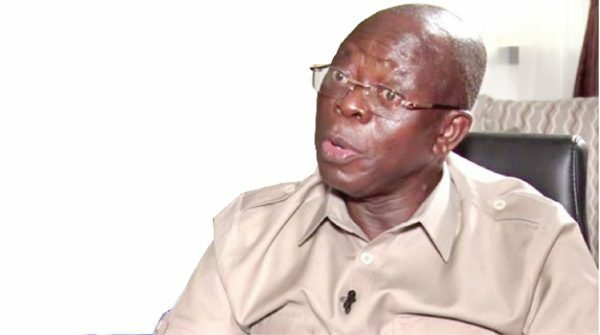 Imo State chapter of the All Progressives Congress (APC) said it has instituted a contempt proceeding against the National Chairman of the party, Adams Oshiomhole. The state Chairman of the party, Daniel Nwafor, who briefed newsmen in Owerri, at the party’s secretariat, yesterday, said the party took the step because of the Oshiomhole’s persistence to recognise the Marcelinus Nlemigbo-led faction of the party, who he practically appointed after serious power play between the governor of the state, Rochas Okorocha and national leadership of the party. Nwafor had earlier maintained that Oshiomhole does not have the power to dissolve the exco in the state because it was legally constituted when the erstwhile chairman of the party, Hilary Eke, was sacked from office. “We’ve commenced a contempt proceeding against Oshiomhole because he has continued to disregard court order. We’ve equally appealed to the president to call him to order because his activities in the party are capable of truncating the party,” Nwafor said. He also announced the indefinite suspension of the factional chairman, Nlemigbo who was appointed by Oshiomhole. Nwafor, who gave reasons for his suspension from Ezimihite -Mbaeri his ward claimed that Nlemigbo has not been attending meetings, in addition to allegation of funding other political parties in his ward. Reacting to insinuations of the romance between the APC and the Action Alliance (AA) in the state, Nwafor said the party would accommodate any party that is interested in delivering President Muhammadu Buhari to return to power. “Our party will welcome any alliance with any political party if only they are committed to delivering our president; we are having talks with many of them, not only AA,” Nwafor said.